Delaware Commercial Collection Agency | Prestige Services, Inc.
For people living within Delaware, laws and statutes of limitations are maintained to protect debtors and to ensure the debt collection process is smooth and lawful. Our goal at Prestige Services, Inc., is to provide Delaware residents and other interested individuals with a collection of informative collection law and economy statistics within the state. This information includes: statute of limitations, interest rates, collection agency bond/license data, and state debt and spending factors. Like with many other U.S. states, Delaware has a Fair Debt Collection Practices Act, set in place to require mercantile or collection agencies to obtain licenses to investigate financial or credit ratings, or collect commercial accounts for creditors (Fair-Debt-Collection.com). The only way past this law is for attorneys-at-law, who have to obtain licenses in order to practice in Delaware. Whether it’s staying up-to-date on collection licenses, industry news, or Delaware economy, Prestige Services, Inc., works to ensure quality debt collection for both debtors and creditors. 85% of disposable earnings or disposable earnings minus 127.50 weekly according to schedule. * These are not comprehensive statutes and therefore PSICollect.com and Prestige Services, Inc. disclaims any liability resulting from reliance by any party upon the legality and accuracy of the contents thereof. Below is a list of the states in the US that we cover. 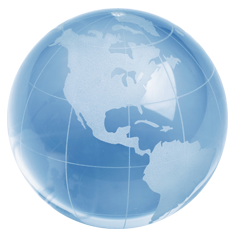 We are a nationwide operation and service all states, as well as Canada & Mexico.